By Jean Wing Hing, Director of 4Leisure Recruitment. This week, I have spent some time up in Manchester attending Professional Beauty North, one of the biggest beauty industry events in the UK. It was fantastic meeting so many new beauty industry professionals who specialise in a huge range of disciplines, and good to catch up with more familiar movers and shakers in the UK’s beauty industry. With our collective knowledge and experience in helping newly qualified therapists into the world of work, I was able to contribute to a discussion with other beauty industry professionals including Monika Mohindra from LoveBeautybyMM, and Liz Holmes from Virgin Active, and answer questions from the audience. The general consensus from the panel was that colleges should spend more time on preparing therapists for work. That could encompass a range of things such as interviewing, job hunting, and managing expectations. In particular, my focus was on educating them on what the career routes look like for them and how to get there. There needs to be a concerted effort to provide a more comprehensive overview of what employers are looking for in each role and how therapists can best prepare themselves for the workplace. I indicated that the biggest gripes employers currently had included poor timekeeping, lack of commercial focus and drive and poor customer service skills. It’s no good having a therapist who can give a fantastic massage or pedicure if they’re not showing up for appointments on time, or who don’t understand the difference a little customer service can make. I was also keen to point out that the change in living wage is likely to have a huge impact on the sector for a number of different reasons. For example, employers are going to be increasingly demanding of commercial skills to ensure they can still drive profit, and the likelihood of smaller businesses failing due to overheads being unsustainable. They are going to expect more for their larger wage bill. The panel encouraged colleges to drive wider, more generalist skill sets rather than highly specialised ones often driven by media trends, where there may be a lack of employment opportunities. In a skilled job such as beauty therapy, commercial focus and customer care are equally as important – the employer has a better quality worker, and the employee has a set of qualities that can be carried through their career no matter what specialism is currently in demand. Our message to colleges is that teaching specialized technical skills is not enough for the current and future demands of the beauty industry. This is about having colleges focus on specific skills and also in equipping their students with relevant business skills that can be adapted no matter what the ever-changing beauty industry can throw at them. The latest massage technique may one day go out of fashion, but commercially focused therapists will always be in demand. Want to know more about our college-to-work beauty therapy scheme Rising Stars? Have you heard of our Rising Star programme? Our Rising Spa programme has been designed by a team of industry experts to bridge to gap between spa and beauty training, and spa and beauty jobs. New therapists, while well qualified and talented, often face barriers when it comes to making the move into the spa and beauty industry. The programme is designed to give rising stars a head start on their spa and beauty career path. As specialist spa and beauty recruiters, we work with a range of businesses and recognised brands, who work with us to help develop the spa and beauty therapists of the future. For newly-qualified therapists, we provide advice and training through workshops and seminars, and provide temporary and contract placements in spas and salons throughout the UK. We provide industry-specific training in areas such as retail sales, complaint handling, general conduct, and preparation for work. We keep our therapists updated on new training and development opportunities and provide ongoing support. Ultimately, the aim is to help give therapists the skills they need to make the move from beauty student to beauty professional. We equip our therapists with the skills and attitude that beauty and spa employers seek, and work with employers to tailor the Rising Star Programme to adapt to the changing demands of the spa and beauty industry. We then help graduates to find their perfect spa and beauty job, and employers to find their ideal therapists. For more information about the Rising Star Programme and how you can be involved either as a therapist or an employer…..
Spa and beauty jobs are one of our many leisure industry specialities, which also includes fitness jobs, lifeguard jobs, and leisure executive positions. Our collective years of experience both as leisure professionals ourselves and as recruiters has shown us that often the leap from leisure student to leisure professional can be daunting and frustrating. Although courses equip students with the skills they need to carry out a leisure role, sometimes they don’t teach skills which employers are looking for, such as customer service, or general work skills. A spa therapist may leave college being able to administer a very good massage yet unable to upsell or be unfamiliar with the rigours of a working day. Rising Stars is a bridging programme which fills in the gaps. Our Rising Stars programme aims to be the benchmark in helping to produce spa therapists who are not only super-talented but super-employable and a fantastic asset to their employers, and to the spa and beauty industry in the future. August 2015 News round-up : acquisitions, take-overs, and naked selfies. August is often a fun time of year in the leisure industry and this year has been no exception. A look back over this month’s news has shown a dominance of stories of fitness operators restructuring, and re-emerging with new business models, proving that the fitness industry has the ability to adapt to changing customer demands and expectations. The last couple of years has taken some casualties in the fitness sector but the phoenix seems to be rising from the ashes. 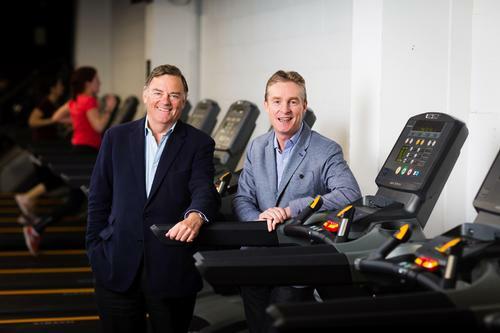 First up, Health Club Management reported the growth of Total Fitness through acquisitions, and re-opening of former sites closed under the previous restructuring. There’s still no word on their rumoured partnership with ASDA, though if you’re in Swindon, keep your eyes peeled. Then Health Club Management reported that Anytime Fitness has reached the milestone of 50 clubs in its bid to be the UK’s largest fitness operator, a title currently held by Pure Gym. They could reach 80 sites by the end of 2015, and is looking at a further 150 sites. This has been a phenomenal growth by a company only five years old. Talking of Pure Gym, Leisure Management reported that the proposed takeover of LA Fitness by Pure Gym had been given the go-ahead by the Competition and Markets Authority. Pure Gym can now press on with plans to convert the majority of LA Fitness sites using Pure Gym’s more budget model, removing less-profitable aspects such as swimming pools, and excess staff. The process is expected to be complete by Summer 2016. Health Club Management reported that Clevedon’s Hand Stadium will be managed by Everyone Active as part of a 10-year deal which will see £500k of investment with a view to providing a much-improved community facility. We wish Everyone Active all the best in this fantastic venture. And finally, a story which grabbed our attention was the one of a man applying for a job who sent naked selfies of himself via text to the hiring manager. Maybe he was hoping his chances would increase, but I don’t think it impressed the manager who reported him to local police. He was told not to contact the manager again. No word on his current employment status. I’m sure there’s a job for him somewhere. Maybe. In case you’re wondering, no it’s not a tactic we’d recommend.